Stories are an important part of a child’s education in early years settings. Gerald Reading Scheme is a literacy focused programme that encourages early years to read more! 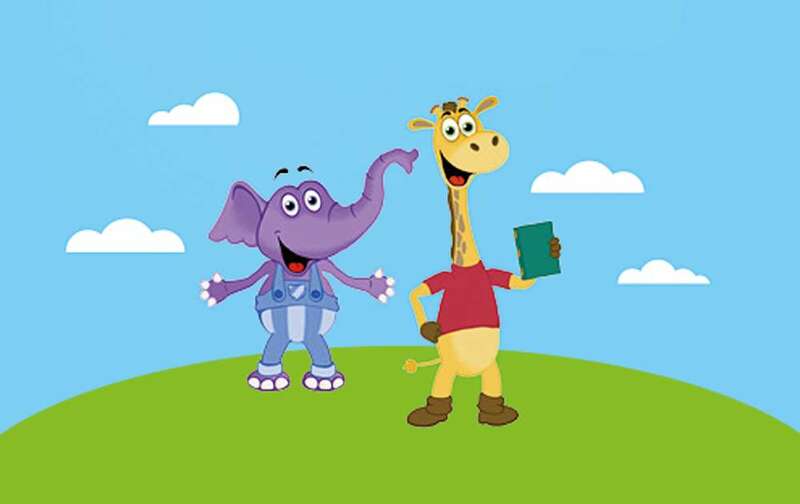 A workshop style activity session for Early Years children which involves Gerald the Giraffe (an actor in costume) reading two stories to the children. Gerald engages and interacts with the children bringing the stories to life and making the process of reading stories fun and memorable. A great experience for children and teachers. The children are given a colouring sheet, an alphabet sheet and an Eddie and Friends Sticker to take home. Gerald Reading Scheme fits with the Early Years Curriculum and in in line with Ofsted’s literacy guidelines. Gerald is a friend of Eddie the Elephant! 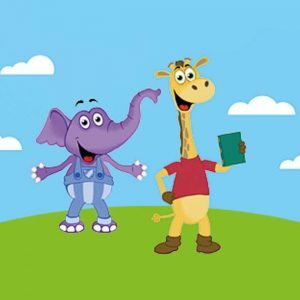 Gerald the Giraffe is also a character in the Eddie and Friends Films. The Eddie and Friends resource is a series of animated films and resources designed to engage around hydration and nutrition, numeracy and literacy skills and normalising disability. For more information, visit the Eddie and Friends page. Theatre based learning provides a rich environment for conscious and unconscious learning; drama enhances verbal and nonverbal expression of ideas bringing stories to life in expressive ways. In our experience, this form of engagement is an incredibly powerful tool in delivering important wellbeing messages. There are many benefits of learning in a theatre based environment; it encourages imagination and improvisation, increases concentration and focus and improves communication and motivation.